This day marks the adaptation of resolution- 'Convention for the Suppression of the Traffic in Persons and of the Prostitution of Others' by United Nations (UN) General Assembly on 2 December 1949. Thus, it can be referred to as situations of exploitation that a person cannot refuse or leave because of threats, violence, coercion, deception or abuse of power. ILO has adopted new legally binding Protocol, designed to strengthen global efforts to eliminate forced labour, which entered into force in November 2016. Q. 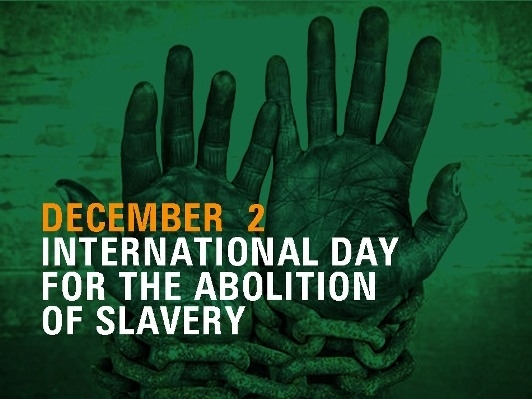 When is the International Day for the Abolition of Slavery observed every year?